These new translations celebrate Jewish life from the 1850s to 1920s. 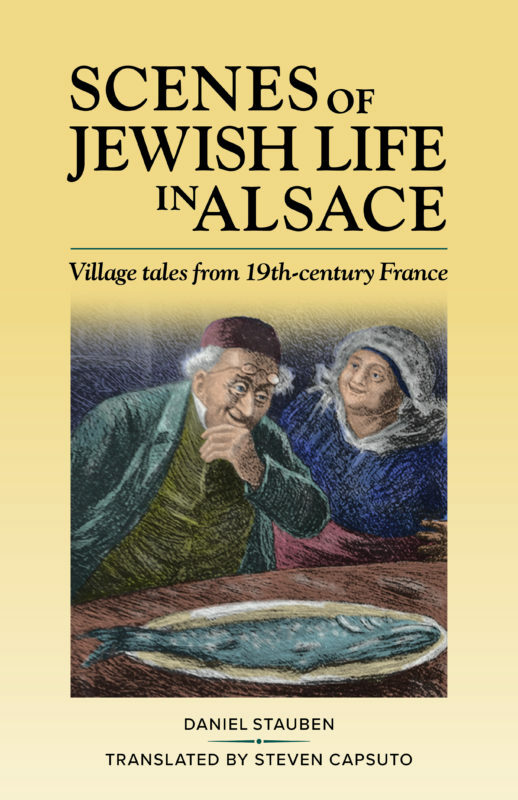 Some feature first-person accounts of the era’s Jewish communities, customs, folklore, synagogues, schools and culture. Sales links follow each book description. Millions of Jews came to the United States from the 1880s to 1920s, most of them fleeing poverty and persecution. As the U.S. Jewish population swelled from 250,000 to 4 million, they built new identities and strong communities for themselves. 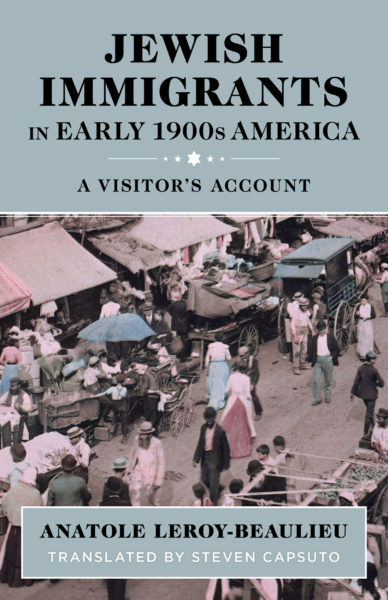 From Jewish farming settlements to the Lower East Side, Anatole Leroy-Beaulieu describes American Jewish life as it was during his 1904 tour of the eastern states. “I had already visited most of the Jewish quarters in Europe, Asia and Africa,” he explained. Now he longed to see how the refugees were faring in the New World. What he saw amazed and impressed him. That autumn, he gave an enthusiastic, insightful talk in Paris, praising a “land of wonders and liberty” where long-oppressed Jews were thriving. It was published in French in 1905 as a booklet with no pictures. This new English translation adds dozens of vintage photographs and modern captions. Visit the vibrant world of Jewish immigrants at the start of the last century: their community organizations and synagogues, schools and libraries, Yiddish newspapers and Yiddish theaters, labor unions and Zionist organizations. 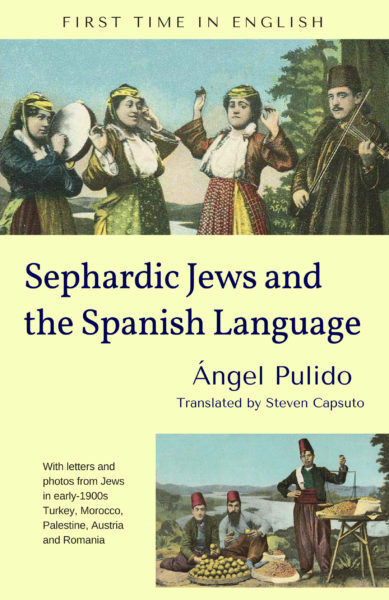 Reeling from the deaths of two loved ones, an Israeli writer travels to Spain—his ancestors' homeland—for a conference of Sephardic Jews. In Seville, he finds a scarf that comforts him for thirteen days. Then, just as suddenly, it vanishes in Madrid. The scarf becomes a symbol of loss: of goodbyes to things and people. But just as he is letting go of his dreams, he meets a group of Spanish Jews who were lost in the Amazon for 150 years, whom he once wrote about in a novel. Did he merely make them up? Can imagination shape reality? Narrated through many voices and viewpoints, Brown Scarf Blues spans countries—Morocco, Brazil, the United States and Israel—and languages—Hebrew, French, Spanish, Portuguese and especially Haketia: the Moroccan Judeo-Spanish speech that hangs on like a living-dead remnant of a vanished culture... the words and expressions left behind by a lost world. 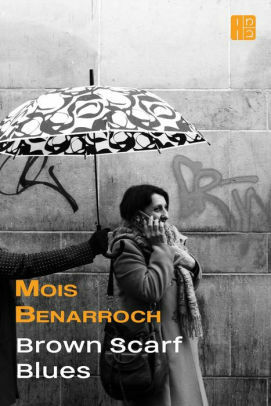 In a short addendum, the author shares fragmented memories of his childhood in the Jewish community of Tetouan, Morocco.